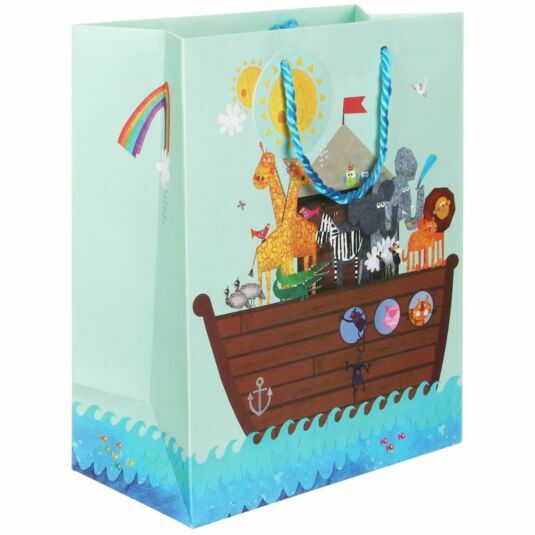 This large bag is perfect for presenting gifts to anyone who loves bright designs and cute imagery, and particularly for children. 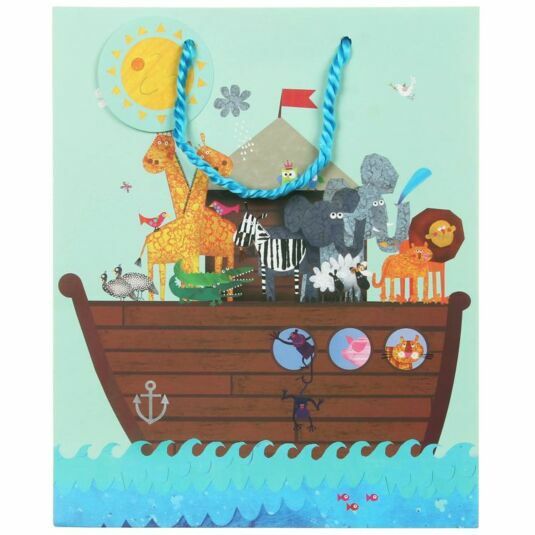 The design features a stylized illustration of the animals on the ark, printed in a collage effect of paper cut-out. Elephants, sheep, giraffes, crocodiles and all manner of animals take the air on deck or gaze from the ark portholes. The background of the bag is turquoise with a jolly yellow sun smiling in the sky as a dove returns with the olive branch, signalling that land is in sight. A matching label featuring the smiling sun is attached to the blue rope handle.